OctoPrint is an incredibly useful tool for any 3D printer owner. Setting it up is easy, just follow our guide on how to install OctoPrint on Raspberry Pi. But today we're taking things a step further. We're going to add plugins. Why bother tinkering with something that's already so awesome? Because we can make OctoPrint go above and beyond—print from the office, stream your progress, and much much more! If you've never installed a plugin for OctoPrint before, don't worry. The developers made the process super simple. Just open the settings menu for OctoPrint by clicking the wrench icon in the upper right. On the Plugin Manager screen is a nice big button that says "Get More...". This screen loads tons of useful plugins. Installing them is as easy as clicking "Install" next to the plugin you want. 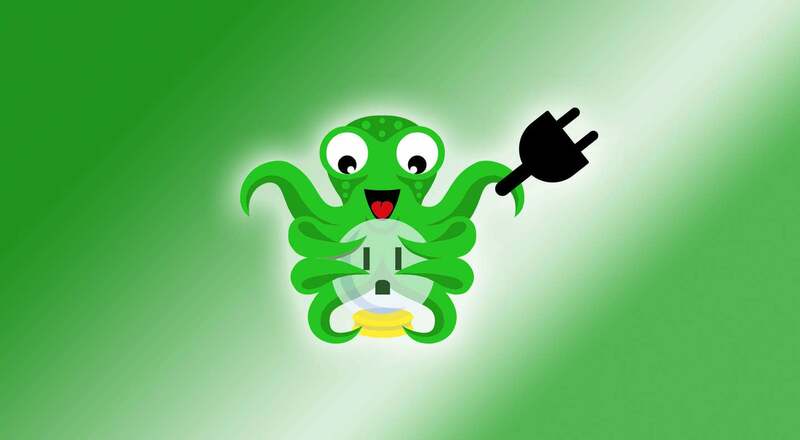 This guide covers the most popular OctoPrint plugins. I compiled this list using data gathered from top discussions on Reddit, search volume data, and metrics from a few other sources. The Octolapse plugin provides a great way to take time lapse footage of your 3D prints. After each layer, it moves the extruder nozzle out of the way and snaps a picture. The final result is a super smooth timelapse video without your nozzle getting in the way! The most common issue people have with Octolapse is stringing—when the extruder nozzle leaves a nice filament spaghetti dinner on your plate after moving out of the way for each picture. This thread on reddit outlines some great tips for reducing and preventing Octolapse stringing entirely. Octolapse prints also take longer than normal prints. This HeaterTimeout plugin does exactly what it sounds like. Once a pre-set amount of time has passed, Octoprint will turn off the heat to both your printer bed and nozzle. This is useful for safety reasons and as a last step to prevent thermal runaway. You can choose how often the heaters are checked by adjusting the plugin settings. Open the settings menu using the wrench icon in the upper right section of the navigation bar. Scroll down to HeaterTimeout and select it to customize. If you want to print something to show the world and have no time to waste, this is the plugin for you. WebcamStreamer lets you stream your print job in real time! You may have better luck with different streaming platforms. Be sure to experiment and test before your stream goes live. The stream server settings can be easily adjusted in the plugin settings. If you're an IFTTT user, get stoked. The IFTTT OctoPrint plugin lets you trigger custom events and set up crazy creative rules involving your 3D printer. Learn more about how IFTTT works, visit the official IFTTT website here. Can't wait to come home and print? Why wait?! With OctoPrint Anywhere, you can control your printer on the go from any supporting mobile device. Start jobs, stop them, or just check in to see how that 10 hour print is coming along. Setup is easy and totally worth the effort. OctoPrint Anywhere is 100% free for your first printer -- then $5/mo for each printer thereafter. Since your printer connects directly to the OctoPrint Anywhere servers, this is a far more secure option than opening up a direct connection to your network. You can modify the OctoPrint Anywhere settings to reduce video streaming bandwidth usage. Octoprint provides a terminal that prints lines of text throughout the 3D printing process. If you want to review the text, it can be a nightmare. Every time a new line is printed, the window scrolls to the very bottom. The Autoscroll plugin gives you a new button to turn that feature OFF—so you can scroll up and stay up! If you don't see the button after installing, be sure to enable the plugin. You can do this by accessing the main Octoprint settings (wrench icon in the upper right corner) and look for Autoscroll under Plugin Manager. A level bed is critical to a solid first layer, and your first layer affects the whole print job! Bed Level Visualizer is a really cool tool that makes leveling the printer bed much easier. The tool probes across the bed to produce a color-coded visual aid for leveling accuracy. This plugin doesn't work for every printer. I highly suggest researching into the plugin before using it. There's a useful troubleshooting section on the official Bed Level Visualizer GitHub you can visit for help and support. How many times have you sliced a model just to realize you made one teeny mistake? Instead of reslicing the whole thing, GcodeEditor lets you make gcode file modifications instantly. The plugin adds a small pencil icon next to each file loaded for printing. This is perfect for things like adjusting bed temperature or nozzle temperature for each print. Open up the GcodeEditor and tinker with it to see what adjustments you can set. It's very useful in a pinch! If you're looking to customize, you need the Tab Order plugin. This tool, as you may have guessed, lets you adjust the order of the OctoPrint tabs. It’s ideal for setting up OctoPrint to match your personal workflow (by moving the tabs you never use to the end, for example). The tool also comes with a few icons that can be set on individual tabs. Check out the Font Awesome icon set and see what you can come up with! Last up is Themeify. You may be wondering why my OctoPrint screenshots look so dark, you can thank Themeify! This plugin lets you make adjustments to the look and feel of OctoPrint. Themeify settings can be manually adjusted under the plugin settings. Access the main OctoPrint settings and look for Themeify on the left under Plugins. If you think I missed a must-have OctoPrint plugin, please post in the comments section below and let me know! For more great OctoPrint plugins, check out the OctoPrint plugin repository.